Journalist and former reality TV star Ksenia Sobchak is ready to take on President Vladimir Putin in Russia's upcoming election. But is she the face of the opposition or a Kremlin-approved critic? Ksenia Sobchak smiles at readers from the cover of the newest edition of the Russian version of the women's magazine Glamour, her fist raised in a sign of defiance. Sobchak's white T-shirt reads "Women, Power." Glamour's feature with the well-known presenter and television personality promises to cover her "presidential ambitions." Sobchak talks about her relationship with her husband and her son, her career and her views on gender equality. But when asked directly about her presidential ambitions, she evades the question, saying that everything interests her. Yet she was anything but noncommittal in a letter published Wednesday in the daily Russian newspaper Vedomosti. Sobchak has now written: "enough silence." She has announced that she will run for president in the 2018 election. "My participation in the presidential elections can truly be a step on the path towards the transformation that our country needs so much," she wrote. The Kremlin's ideal opposing candidate? The swirl of interest around Sobchak, a former reality TV star turned opposition figure, as a potential presidential candidate started in early September. At the time, Vedomosti quoted sources in the presidential administration saying that the Kremlin was on the lookout for a female "sparring partner" for Putin in the presidential campaign. The article named several female politicians, then quoted one source as saying Ksenia Sobchak would be the "ideal candidate," since she is "smart, colorful, interesting and doesn't completely fit the bill of a typical Russian woman." Sobchak was quick to point out that she isn't connected in any way to the presidential administration. But recently there have been media reports that Sobchak had a one-on-one meeting with Putin after filming an interview with him. Kremlin spokesman Dmitry Peskov refused to comment on the meeting. Though the 36-year-old has become known as an opposition figure in recent years, her name does not always get Russians thinking about serious politics. Sobchak started out as a reality television presenter on the show "Dom 2," a Russian version of shows like Big Brother. She even starred in her own reality television show "Blondinka v Shokolade," which translates roughly as "The good life of a blonde." It showed Sobchak as a glamorous and yet accessible socialite, going shopping or talking on the phone to friends. She has even been called "Russia's answer to Paris Hilton." Despite the editor-in-chief of Glamour describing Sobchak as an example of what "our American colleagues describe as a self-made woman," she comes from a well-connected family. Her father, Anatoly Sobchak, was the first elected mayor of St. Petersburg and boss to Vladimir Putin, who served as his deputy. Her mother, Liudmilla Narusova, is also a politician and a current member of Russia's Federation Council, the upper house of the Russian parliament. In recent years, however, Ksenia Sobchak has moved away from the reality television background that made her famous. Sobchak took on an active role during the mass anti-government protests that followed the Duma elections in 2011 and continued into 2012. In 2012, she was elected as one of the members of the Opposition Coordination Council, which aimed to coordinate the fractured opposition at the time. 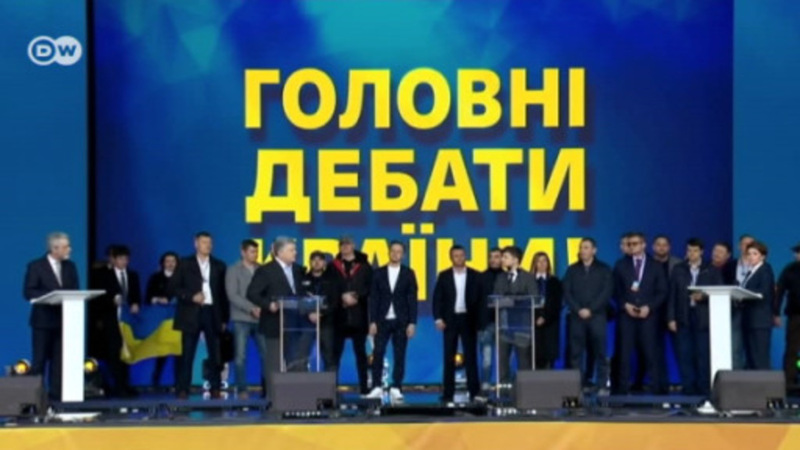 The council also included opposition politicians Alexei Navalny, Ilya Yashin and Boris Nemtsov. Sobchak spoke to DW about her move into activism in 2012, saying she hoped that during the protests, she had convinced people of her honest intentions. At the time she hoped for "mass protests" in Russia, and for "our country to have a free media and an independent judiciary, and to move towards a total transformation." Since 2012 she has presented various political talk shows, including one on the independent television channel Dozhd, a channel which is known for its opposition views. Her show "Sobchak Zhivyom" ("Sobchak Live") features critical interviews and has hosted various high-profile politicians like the Belarusian President Alexander Lukashenko and former Georgian President Mikheil Saakashvili. But she has also maintained a glamorous image - in addition to her presenting work, Sobchak is the editor-in-chief of the Russian version of the fashion magazine L'Officiel. The Russian presidential campaign hasn't officially begun yet - and incumbent Vladimir Putin has yet to confirm he is running. But even before Sobchak announced her intention to run, the notion itself sparked a lively debate in Russia. Andrey Pertsev, a commentator at the Moscow Carnegie Center and a journalist at the Russian newspaper Kommersant points out that "Ksenia Sobchak's emergence at the forefront of Russian politics was unexpected" but that "discussions around Sobchak's nomination reflect the demand for any alternative to Putin." He said the rumors swirling around her had led to a serious discussion of Sobchak as a candidate, adding that she is "a striking liberal, well-known among the public, and she criticizes the regime." But the idea of Sobchak's nomination also led to comparisons with the candidacy of Russian businessman and billionaire Mikhail Prokhorov in the 2012 presidential elections. Prokhorov ran as the liberal opposition candidate and finished third in the polls. But at the time, analysts like Stanislav Belkovsky claimed that Prokhorov's candidacy was an attempt by the Kremlin to redirect the political frustration of anti-government protesters. In the Russian media, many observers have said Sobchak will similarly serve as an officially sanctioned opposition candidate that the Kremlin may have been looking for. After all, opposition candidate Alexei Navalny is officially not allowed to run in the presidential elections because he is serving a suspended sentence. Navalny reacted to the rumors of Sobchak's potential candidacy before she made her announcement by calling on journalists not to join in the "rather disgusting Kremlin game called 'Let's drag a liberal laughing-stock into the elections to distract everyone.'" Sobchak herself reacted to Navalny's statement, telling the Russian news site RBC "I want to give [Navalny] some advice: Don't insult people using unverified information." But speaking on Dozhd TV after announcing her candidacy, Sobchak emphasized that she considers Navalny a friend and wants to keep the opposition united. She explained that if Navalny is permitted to take part in the presidential elections after all, she would consider withdrawing her candidacy. Is Sobchak a Kremlin-approved member of the opposition? Prokhorov: White knight or Putin pawn? Alexei Navalny says he was given no reason for being barred from boarding a flight from Moscow to Frankfurt. He intended to appear at the ECHR, which is ruling on the legality of his numerous detentions. Russia's opposition leader Alexei Navalny has become one of the most prominent figures of the anti-Putin protest movement. The lawyer-turned-activist was barred from challenging Putin in the 2018 presidential election. Russian opposition leader Alexei Navalny has been detained outside his Moscow home, according to his spokeswoman. The 42-year-old blogger spent June in jail after organizing protests against President Vladimir Putin.